There are four different ways that intuitive guidance can come to us. And each person is unique in how receptive we are to messages from the spiritual realm. By familiarizing yourself with the particular way that your spirit receives those messages, you will better understand how to interpret the information you receive. Most of us are naturally gifted in one of these abilities, or “clairs.” But with practice, you can learn how to receive and interpret information using a combination of some, or even all four, of them. It’s important to keep in mind that when we receive messages—whether it’s through our own intuition, or from angels or our spirit guide—they will always be supportive, focused, and loving. The messages will never be harmful to you or to anybody else! Now, on to the clairabilities! Clairvoyance literally means “clear seeing.” Clairvoyance manifests in visual images, like pictures or movie-like scenes, that flash in your mind’s eye. These images may appear in color or in black-and-white, and usually are symbolic in meaning. Clairvoyants may be creative and naturally artistic. Clairvoyant mediums conduct their readings through receiving images or even actual words that they can then interpret with you or describe to you. Sometimes they get fragments of images that must be pieced together before attempting to understand the meanings behind them. Messages from the spiritual realm often come through as metaphors or symbols for steps you need to take in your life. For example, you may see a cartoon-style image of a pen inside of a glass bottle. This could be because you’re a writer and you’re experiencing writer’s block. It’s through symbolic images that the meanings behind them can be interpreted. Clairaudience, or “clear hearing,” is hearing an inner voice speak to you, or hearing the voice of an angel or spirit guide. The voices may sound like their own voice, or they may sound completely different. clairaudient mediums often messages ring through their minds, or their spirit guides whisper messages straight into their ears. Clairaudience is associated with our Fifth Chakra, which is our energy center of communication. Through much inner healing work and meditation, it can become easier to more easily and accurately differentiate among the voices of intuition, spirit guides, and other people. “Clairsentience” means “clear feeling.” Spirits can speak to people through physical sensations of energy. These sensations can manifest as emotions, or as actual physical sensations that incorporate tastes and smells. When clairsentient mediums receive information, they may feel shivers through their skin. When they are making decisions, they may experience a “gut feeling,” which is our Second Chakra in action. Our “gut feelings” indicate that we’re in touch with our clairsentience. Alternatively, clairsentients may feel things in their hearts. they may experience a sense of peace in their hearts, or even a sense expansiveness from brightness and lightness in their chests related to creative ideas they want to incorporate. Clairsentients may smell specific scents or tastes as signals that their decisions are correct. During readings, a clairsentient medium may experience tastes and scents during readings as an indication of the presence of a loved one who has passed. Clairsentients may also feel actual, physical tugs to go in a certain direction. For example, they may be using their intuition while driving to decide if they should make a right turn or left turn. 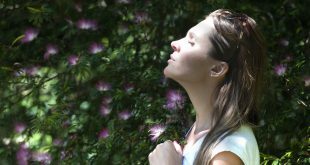 If they take a moment to breathe deeply and feel their body, they may get a “tug” that feels like their body is being pulled in a certain direction. If they follow that “tug,” they know they’ve gone the right way! During readings, a medium’s clairsentience may activate through emotions. Their body may sense if their client’s space contains fearful energy, anxiety, guilt, sadness, and so on. Getting in touch with your intuition can be helpful in discerning what just feels right to you. Claircognizance, or “clear knowing,” is the ability to receive information without a clear understanding of exactly where it came from. Many people tend to disregard information that feels like it just “appeared out of nowhere.” But this information is usually inspired, and can be exceedingly accurate! When bright ideas just pop into our minds, we should always thank the Universe. Those ideas can manifest as creative insights, or as sudden knowledge of what your next step needs to be. 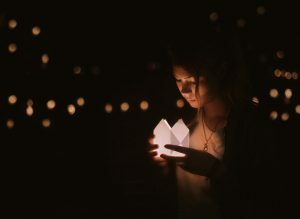 Claircognizant mediums’ readings can evolve greatly to include information about people unconnected to feelings or images. It’s just basic, unembellished information when it comes to them. It’s important when you receive inner guidance to trust yourself. When learning to trust, it will help you to review incidents in your life when you listened to your intuition, as well as the times when you didn’t. This will get you in touch with the ways you’re already been receiving intuitive guidance. Once you’ve experimented with your natural intuitive process, and thoroughly understand how it works, you can begin familiarizing yourself with the rest of the clairabilities!